With the holidays fast approaching, what are you going to give the person who has everything? Here is an idea. 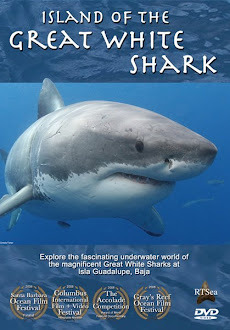 Sponsor, or name a shark at Guadalupe Island and support the research and conservation efforts there. The Marine Conservation Science Institute is not only maintaining a photo ID database at Guadalupe, but also does extensive research into the migration behavior of "our" Great White Sharks. 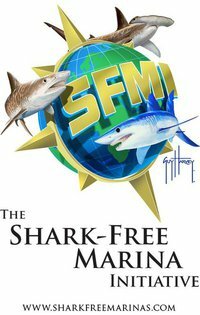 By naming, or sponsoring a shark, you are helping to keep the research going. Let me introduce #153 from our database. He's an awesome shark and I hope that you agree that #153 is not a good name for this guy. I'm sure you can come up with something better. To name or sponsor this awesome individual, visit http://www.marinecsi.org/donations/. All the proceeds go to the research and your donation is fully tax deductible. 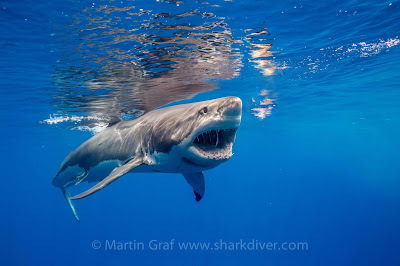 If you are the one that ends up naming this shark, Shark Diver will give you a print of either one of these pictures, so you can show your friends the shark you named.